Ganjifa is a very popular word and apart form India it is commonly known in Nepal, Arab countries, Turkey and Iran. 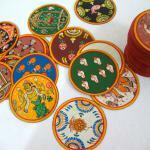 Ganjifa signifies games related to playing cards and card games. Ganjifa today is taken over by the printed playing cards. 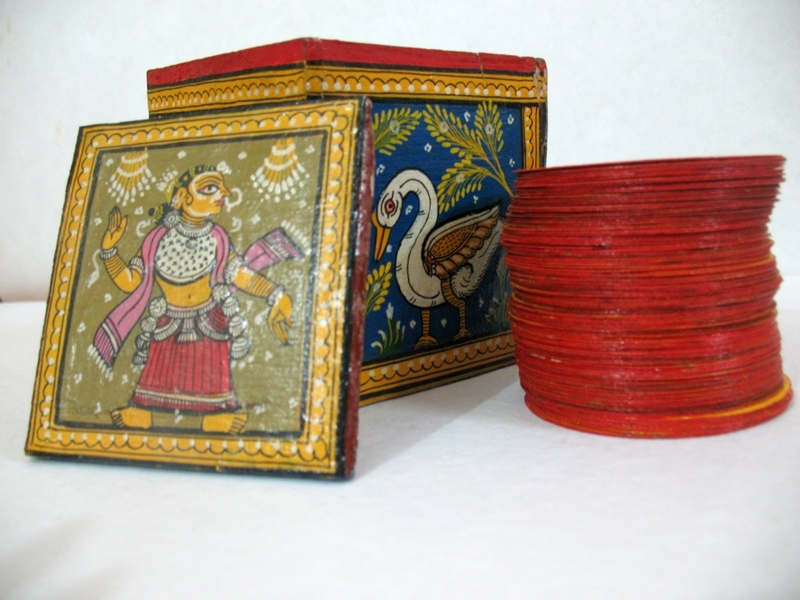 The original Ganjifas displayed enthralling objects and showered the folk art painted by the artists. 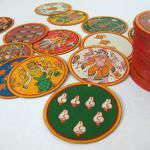 Artists have preserved the traditional art in the cards and also the main Hindu religious symbolism. 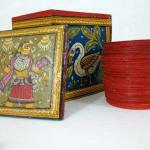 Ganjifas are very beautifully packed in the sliding boxes which too are very artistically crafted. Mughal Ganjifa :History says Mughal and Hindu ganjifas were very common and had grabbed all the limelight. The present game of Mughal Ganjifa was introduced by Akbar. 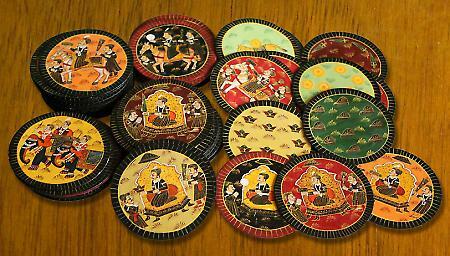 The Mughal ganjifa carried eight suited ganjifa pack and had 96 beautiful cards in eight suits of 12 cards each. The twelve cards in each suit comprised of two court or figure cards and 10 numeral or pip cards. 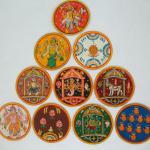 Dashavatara Ganjifa :The Hindu Dashavatara (10 incarnations) were different in their composition and construction. In the first order the number of suits and cards were more which made the game complicated . The figures and the suit signs were common to the Hindu players. 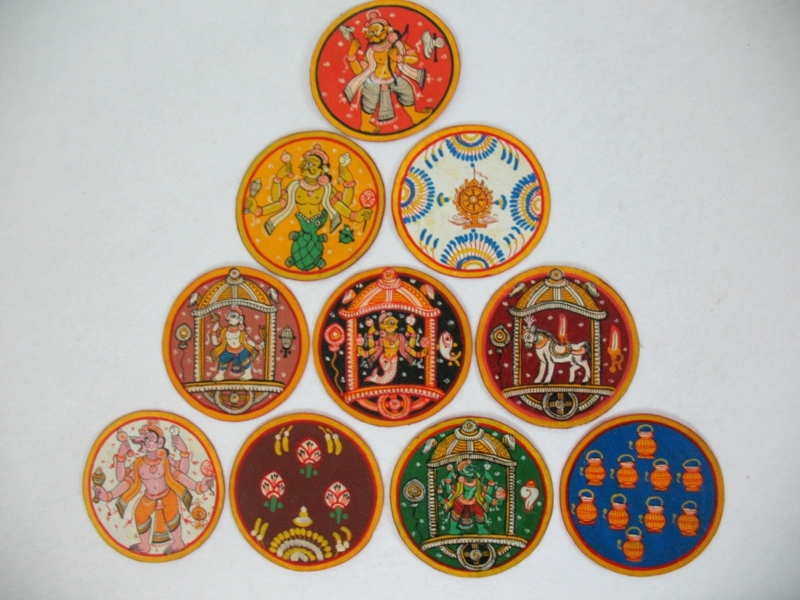 Each pack of ganjifa carried 10 suits, which displayed one of the incarnations of Vishnu. The techniques, processing, designing of ganjifa cards varied from user to user. Artists involved in making Cards for the rich and wealthy had to use expensive materials. 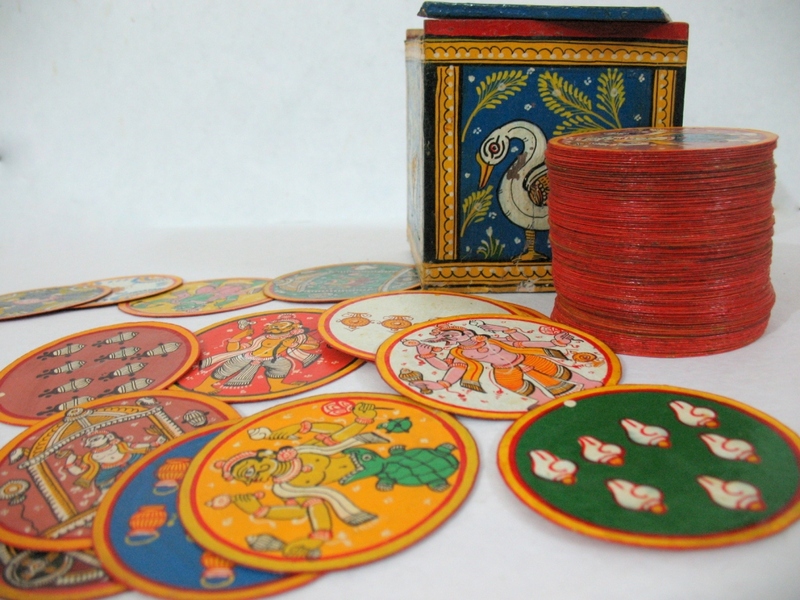 They used to craft on lac wafers, tortoise shells, ivory, engraved brass discs, mother of pearl and were decorated with precious stones and metals. 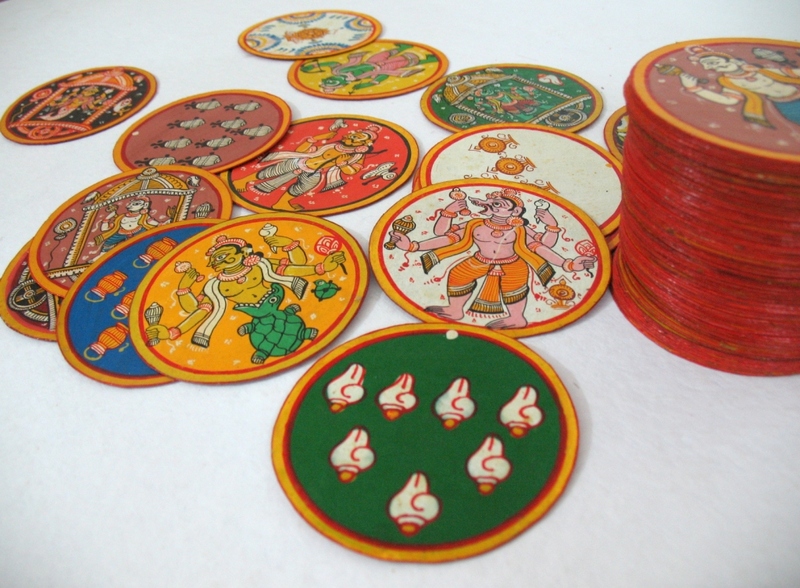 Common man had ganjifas to himself on leather, paper, stylographed palm leaves, fish scales and paper machie. 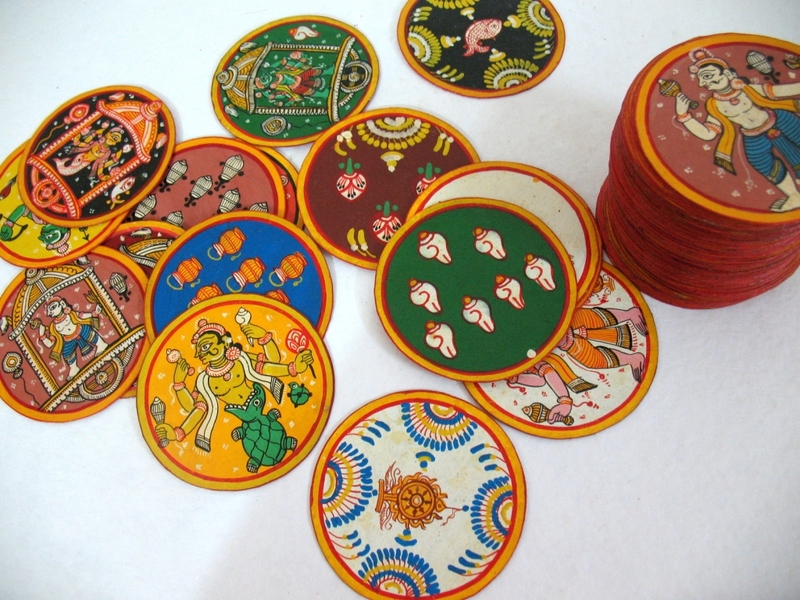 Today the ganjifas are sold as a craft object. 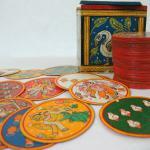 http://ganjifa-kishor.com Lt. Sri Kishor Gordhandas had the record for the largest collection of playing cards in Asia.